Enjoy Utah! : WIN Disney On Ice Toy Story 3 Tickets! 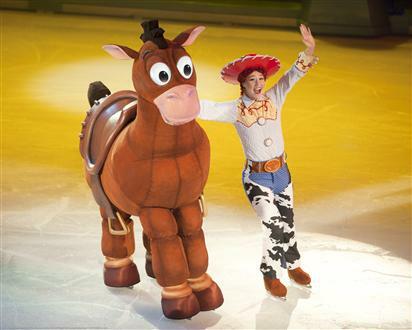 Disney On Ice Toy Story 3 is coming to Utah, and thanks to Lulu Hart with Feld Entertainment, we have free tickets to give away! This will be a Facebook entry only contest through one of our networking partners, Gines Auto Service. Go to their facebook page, click on like, and get entered to win! Entry deadline is Thursday February 9th at 11:59pm. Winner will be chosen at random and announced and contacted on Friday February 10th. EXTRA ENTRIES are given for each person that enters and mentions your name that they heard about the contest through you. Read more about the show and how to get tickets. A local Utah skater, Kylee Nielsen, will be performing in the show! Read more about her here. Any questions about this contest, email me at michelle@enjoyutah.org.